Citation: C N Trueman "The Black Panthers"
The Black Panthers were formed in California in 1966 and they played a short but important part in the civil rights movement. The Black Panthers believed that the non-violent campaign of Martin Luther King had failed and any promised changes to their lifestyle via the ‘traditional’ civil rights movement, would take too long to be implemented or simply not introduced. 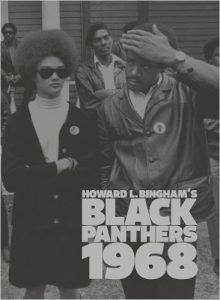 The language of the Black Panthers was violent as was their public stance. 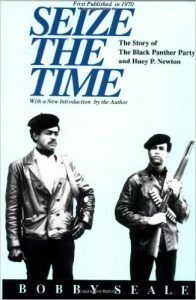 The two founders of the Black Panther Party were Huey Percy Newton and Bobby Seale. They preached for a “revolutionary war” but though they considered themselves an African-American party, they were willing to speak out for all those who were oppressed from whatever minority group. They were willing to use violence to get what they wanted. The Black Panther Party (BPP) had four desires : equality in education, housing, employment and civil rights. It had a 10 Point Plan to get its desired goals. 1) “Freedom; the power to determine the destiny of the Black and oppressed communities. 2) Full Employment; give every person employment or guaranteed income. 3) End to robbery of Black communities; the overdue debt of forty acres and two mules as promised to ex-slaves during the reconstruction period following the emancipation of slavery. 4) Decent housing fit for the shelter of human beings; the land should be made into cooperatives so that the people can build. 5) Education for the people; that teaches the true history of Blacks and their role in present day society. 6) Free health care; health facilities which will develop preventive medical programs. 7) End to police brutality and murder of Black people and other people of color and oppressed people. 8) End to all wars of aggression; the various conflicts which exist stem directly from the United States ruling circle. 9) Freedom for all political prisoners; trials by juries that represent our peers. The call for a revolutionary war against authority at the time of the Vietnam War, alerted the FBI to the Black Panther’s activities. Whatever happened, the FBI was successful in destroying the Black Panther’s movement. Those who supported the BPP claim that the FBI used dirty tactics such as forging letters to provoke conflict between the BPP’s leaders; organising the murders of BPP leaders such as John Huggins; initiating a “Black Propaganda” campaign to convince the public that the BPP was a threat to national security; using infiltrators to commit crimes that could be blamed on the BPP so that leaders could be arrested and writing threatening letters to jurors during trials so that the BPP would be blamed for attempting to pervert the course of justice. Supporters of the BPP claimed that this last tactic was used with success at the trial of the “Chicago Eight” whereby the jury, apparently angered at being intimidated by the BPP, found the eight members of the BPP guilty. None of the above tactics have ever been proved or admitted to by the FBI. The head of the FBI, Edgar J Hoover, called the BPP “the greatest threat to the internal security of the country.” Hoover ordered field operatives of the FBI to introduce measures that would cripple the BPP. Using infiltrators (one of these, William O’Neal, became Chief of Security for the BPP), the FBI knew of all the movements etc of BPP leaders. FBI raids in BPP heartlands – Chicago and Los Angeles – that led to the arrest of regional leaders, resulted in the collapse of the movement. To view the BPP as a purely revolutionary and violent movement is wrong. In areas of support the BPP created a Free Food Program to feed those who could not afford to do so for themselves; Free Medical Research Health Clinics to provide basic health care for those who could not afford it and an Intercommunal Youth Band to give community pride to the movement. In a book of his essays called “To Die for the People”, Huey Newton wrote that these were exactly what the African-American community wanted and that the BPP was providing its own people with something the government was not. Such community projects have survived in other guises, but after the demise of the BPP they lost their drive for a number of years. Was there much support for the BPP? Were they ‘Public Enemy Number One’ as Hoover claimed? In 1966, a survey carried out in America showed that less than 5% of African-Americans approved of groups such as the BPP. 60% were positively hostile to such groups. But were these survey results slanted in such a manner as to tarnish the name of the Black Panthers at an early stage in its existence especially as the head of the FBI, Hoover, was known to be very against the movement? In areas such as Oakland and parts of San Francisco and South San Francisco where the BPP claimed to feed nearly 200,000 people, support would have been a lot higher. 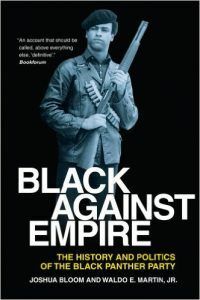 Black Against Empire: The History and Politics of the Black Panther Party Joshua Bloom & Waldo E. Martin, JR.